Hi everyone! hope y'all are enjoying the holidays. 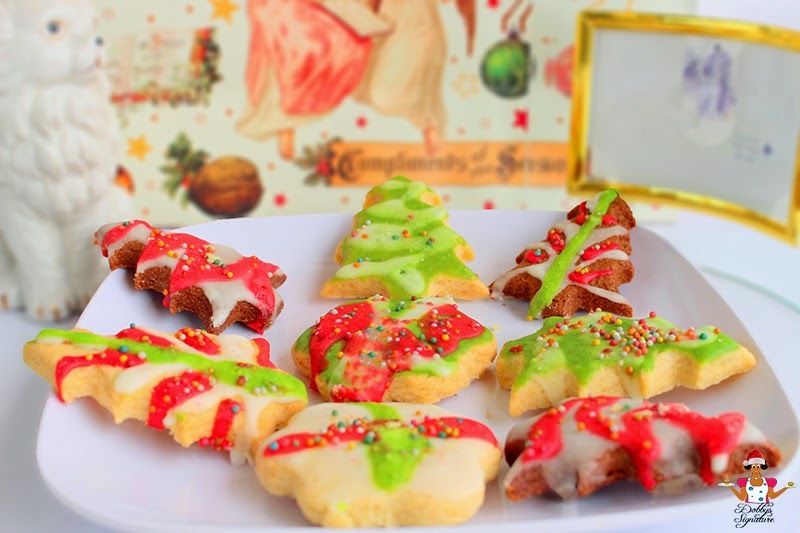 i decided to make a quick stop to show you how to make these tasty sugar cookies i served up for Christmas. Made the cookies a day before the D-day and stored them in a tightly fitted glass cookie jar to prevent them from getting soft. i recall the very first time i made these, all i needed was a nod of approval from my brothers who are my greatest critiques to know it tasted "fantabulously" good :D. To give you a hint, the light one tastes exactly like the popular Danish cookies and the dark one tastes like the chocolate flavored version of danish cookies. Now i'm done! Time to run off to enjoy the rest of the Holiday. 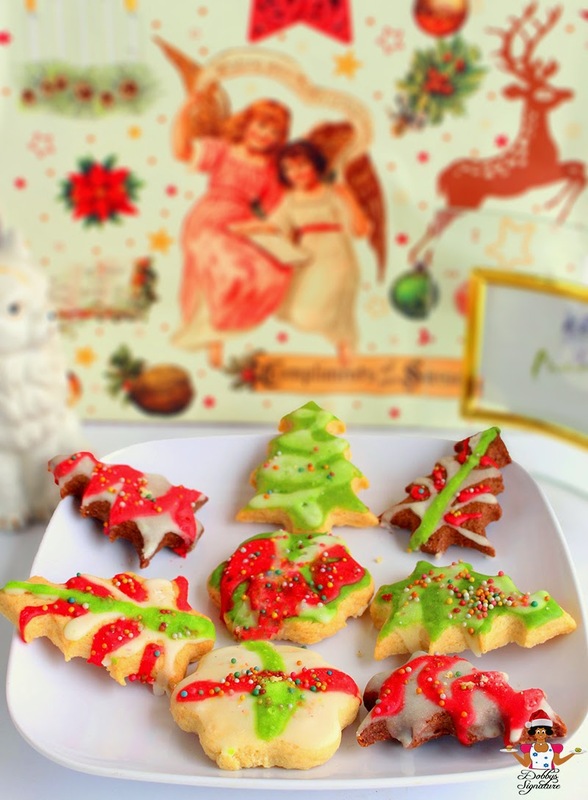 You could also browse through the various biscuit recipes on the blog for more inspiration. To see what i've been up to and also get meal ideas for the season, follow me on instagram HERE...Chao! P.S: Check the comment section for free airtime (Fastest fingers). Tell us what you made for Christmas, leave your E-mail addy and your network of choice to win free airtime. First person wins! Step 2: Whisk the eggs and add to the beaten sugar and butter, add the salt, mix to incorporate. Add the vanilla and mix. At this point if you want two colors and flavors, divide the batter into two. Add the cocoa powder into one part and leave the other part plain. Step 3: Divide the flour and gently fold it into both parts. Mix till you get a non-sticky dough (The mixing bowl should be clean). Flatten the dough on a working surface with a rolling pin. 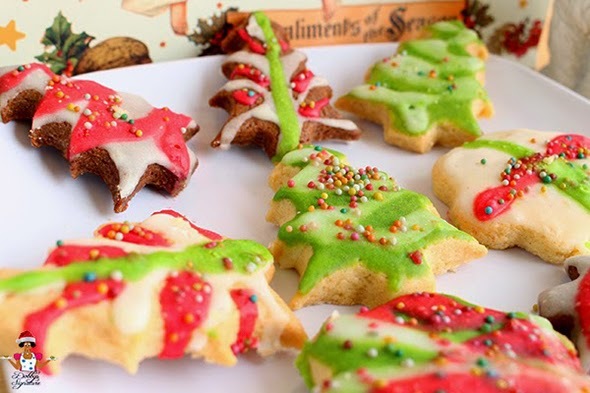 With your cookie cutter, cut out the various shapes you want . Place the cookie cuts on a lightly greased pan. you could also use parchment paper to line the baking sheet. Will definitely try this recipe, thanks for sharing. If only I'm in Nigeria.. Thanks Dobby dear and enjoy your Xmas holiday, remain blessed. Happi Christmas my unsong queen Dobby..
Hi dobby, all thanks to u.i can now prepare a good and palatable Meal for my family. Woow.... i cant believe this, dobby really sent me 1500mtn. For blessing me, u and ur generation will never know lack, God will grant u ur most desired wish ijn, Ameeeen. more wisdom to create mouth watering recipes for us. Happy new year in advance. Congrats on the win Chyqueen :). Hi Dobby. How come this cookies stays longer in the oven. It's about as long to bake a cake. I had the impression cookies take 15-20 minutes at most.